Should You Take The SAT or The ACT? Some colleges may no longer require standardized test scores, but for most high school students, test-taking is still a reality. Here's some advice that might help you decide which test is best suited to you. 1. You did great on the PSAT. The devil you know may be better than the devil you don't. 2. You have a killer vocabulary. You know "didactic," "sedulous" and other esoteric words (including esoteric) and want to use that comparative advantage. 3. You can ace grammar. In addition to the essay section, the Writing section of the SAT tests the deviation between standard written English and the way we actually speak the language. You know that "everyone has their own idea" is wrong, and you are comfortable with "On the table, there ARE a pencil and some paper." 4. You find it easier to write essays that use illustrative examples rather than argument. For example, if a topic such as "Should the rights of the individual be secondary to the good of the community?" seems like an easier topic to write on than "Should students be required to participate in extracurricular activities?" then the SAT essay may be more your speed. In the former example, you can use anything from the Civil Rights Movement to The Scarlet Letter as evidence, while the latter likely begs more for examples from personal experience or abstract arguments. 5. Whether or not you're academic, you consider yourself quick-thinking. At some level, the math section of the SAT is based on reasoning. The reading section is about seeing things the same way as the test-makers. The official name is, after all, the "SAT Reasoning Test." The hardest math questions on the SAT are not about advanced content or formulas that you may have forgotten. 6. You are high-energy or impulsive to the point of being impatient. Comprised of nine sections and an essay, the SAT is 20 minutes longer than the ACT, which is comprised of four long sections followed by an essay. But there are more starts and stops on the SAT — which makes it feel as though it's moving along faster than the ACT. 7. All of your friends are doing it. 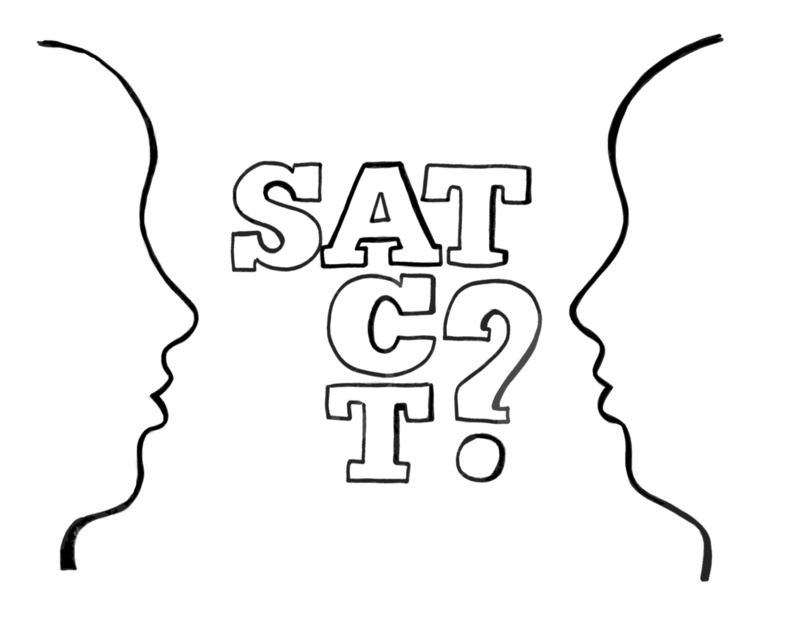 For many folks, the SAT is a rite of passage and is the common yardstick people use, for better or worse, in comparing their scores to the scores of their friends, parents and siblings. The whole drama of high school wouldn't be complete without it. 1. You did great on the PLAN (the "PSAT" for the ACT) or had a PSAT or SAT score inconsistent with your academic performance in school. 2. Your vocabulary is not as strong as your reading. You read well and relatively quickly. Arguably, the ACT is a test that is three parts verbal — English, Reading and Science (the latter section requires no knowledge outside of what the test presents). 3. You are great at writing papers but haven't had formal grammar instruction. The English portion of the ACT is more a test of punctuation and sentence and paragraph structure. Many students find the English to be common sense, much like proof-reading a paper. 4. You prefer to write essays that are argumentative, persuading with ideas even if you lack perfect recall of facts and figures. Or you prefer to answer questions that ask about everyday issues in your life or school. 5. You fear you will choke under pressure. The ACT effectively has "score choice." If, when you register, you do not indicate schools you want to receive your scores, you can wait until you have taken the ACT several times and then select the best scores to send. On the SAT, all scores (SAT and SAT Subject Tests) will be part of your score report. You cannot "hide" a low score on the SAT as you can on the ACT. 6. You are more academic than "test savvy." The ACT seems to most people to be more curriculum-based and thus more straightforward. There is more advanced math content (logarithms, trigonometry, conic sections, etc. ), but it seems more like a regular test you might encounter in school. 7. All of your friends aren't doing it. You dread telling people what your scores are, imagining that they are immediately making judgments about how you "stack up." Tell your friends you have a 580-620-590 on the SAT, and the ranking begins. Tell them you got a 27 on the ACT, and they'll ask "is that good?" by Ned Johnson of Prep Matters, a standardized-test tutoring firm in Washington, D.C.